The paper discusses Zhai Yongming’s 翟永明 (b. 1955) most recent long poem, “Roaming the Fuchun Mountains with Huang Gongwang” (随黄公望游富春山, 2015). In this text, Zhai revisits a Yuan handscroll, the classic artistic medium of literati aesthetics, and turns it into the departure point for her own exploration of modern Chinese poetry. As in many of her other poems, in this work Zhai creatively navigates her way through poetic legacies from the remote past in order to comment upon the present socio-cultural situation. 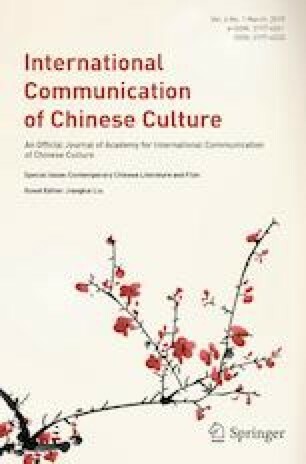 For example, she questions the hegemony of the male voice in the Chinese poetic tradition and references the topic of the possibility of gendered, genuinely female, poetics. She also introduces a contemporary ecocritical perspective into the discussion of the genre of landscape poetry when she turns to the ongoing transformation of the natural environment by the forces of modernization. The paper offers a preliminary inquiry into the dense text with a focus on its gendered ecocritical edge. From this vantage point, it seeks to shed light on the creative tensions between past and present in Zhai’s poetry. Origin [Ursprung], although a thoroughly historical category, nonetheless has nothing to do with beginnings […]. The term origin does not mean the process of becoming of that which has emerged, but much more, that which emerges out of the process of becoming and disappearing. The origin stands in the flow of becoming as a whirlpool […]; its rhythm is apparent only to a double insight. (W. Benjamin, The Origin of German Tragic Drama). (M. K. Hearn, How to Read Chinese Painting). Pang, Mae Anna (2001). Transmission and Transformation: The Art of Imitation in Wang Yuanqi’s Fuchun Mountains Scroll. The Art Bulletin of Victoria 41, https://www.ngv.vic.gov.au/essay/transmission-and-transformation-the-art-of-imitation-in-wang-yuanqis-fuchun-mountains-scroll-2/. Accessed 27 Nov 2018.